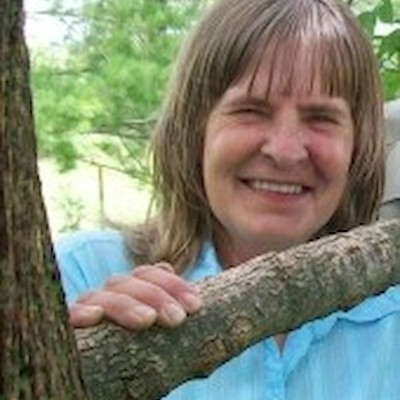 Gail Lynn Jensen, 63, passed away peacefully at her home March 16, 2019. She left us much the same way she lived her life. She worked hard, was strong until the end, and gracefully slipped away when her time came. Gail was born on April 28, 1955 in Frederic, WI to Harold and Irene Sorenson. Gail married Ray Jensen on July 1, 1971 in Ironwood, MI. They had 48 years together and raised 3 children. They also helped in “raising” 7 grandchildren, 2 great-grandchildren, plus one on the way. She spent most of her life working on the family farm, as well as working off the farm at the Luck Bakery, United Pioneer Home, and Walmart. Family was number one to her and you would often find her with her grandkids, making them ‘toast with love’ or ham sandwiches. Food was always better at Grama’s house! Some of her favorite things were keeping the yard mowed and looking beautiful, feeding the birds, and working in her many flower beds. “JENSEN” could often be heard from across the yard or out the window - keeping Ray in line! Left to remember and celebrate her life is her husband of 48 years, Ray Jensen; her children, Mande (Nick) Kuechenmeister, Brian (Holly) Jensen, and Jolleen Jensen (Cliff Wenzel); grandchildren, Zachary (Jordyn) Kuechenmeister, Christopher Kuechenmeister (Lauren Micolichek), Trent and Lucas Kuechenmeister, Ethan and Wyatt Jensen, Jesse Wenzel; and great-grandchildren, Lane, Finnley, and baby-on-the-way Kuechenmeister; sisters, Ardell, Elaine, and Dixie (Bob); brothers, Marvin (Joan) and Harlan (Cindy); sisters-in-law, Linda (Marv), Shirley (Tim), June (Daryl); and brother-in-law, Jimmy; along with many family and friends. Gail is preceded in death by her parents, Harold and Irene; sisters, Jerry and Delorous; mother-in-law, Florence; father-in-law, Lynn; sister-in-law, Sharon; and brother-in-law, Lauritz. In honoring her wishes, there will not be any services. A private family gathering will be held at a later date.